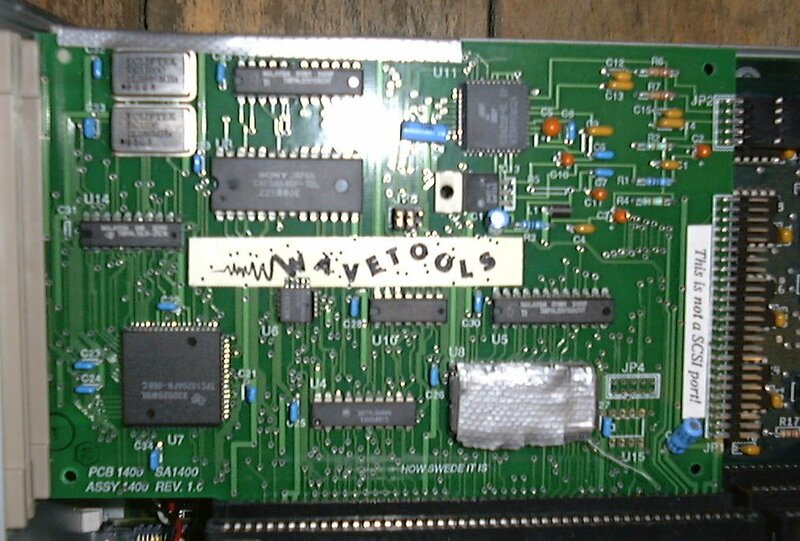 The Wavetools is a half length Zorro II card, capable of sampling and audio playback in 16bit. Early versions of this card were called Perisound and were manufactured by ASD. The rear faceplate is connected to the card via a small cable which connects onto the rear edge of the card. The card was supplied with some basic sampling and plauying software as well as a driver for the card called dad_audio.device. This device driver is still required, even if the card is in use under AHI. There are a block of jumpers labelled JP3, however the manual does not mention what these are for. By default pins 1-2 are shorted.